We’ve all done it. You buy a shiny new piece of kit at an exorbitant price, and two years later it’s in the back of a drawer collecting dust. The worst offenders tend to be smaller items. We now live in a culture where it’s commonplace to replace your smartphone How Advertisers Trick You into Buying Their Smartphones How Advertisers Trick You into Buying Their Smartphones You hear something about an octa core, 20-megapixel, Quad HD smartphone with 3GB of RAM. You have no idea what that means, but it sure sounds fast and powerful in the commercial. Read More , tablet, and MP3 player on a near-annual basis. For example, did you know there has been a staggering 25 different iPod models released since they first hit the shelves back in 2001? You could leave you old iPod in the back of the drawer until it becomes “retro” — at which point you could probably sell it on eBay for a fee that’s not far off what you originally paid for it. But why not make use of it in the meantime? Here are six top tips to breathe new life into an old iPod. Sadly, there are lots of good MP3 devices on the market that are let down by the quality of their proprietary firmware. Apple’s iPod is by no means the worst offender, but there is one huge drawback that users generally loathe (particularly among Windows users); it’s called iTunes. Depending on who you speak to, iTunes is either the greatest or worst music management software in existence. While there are plenty of alternatives to choose from 5 Lightweight Music Players That Don’t Sacrifice Features 5 Lightweight Music Players That Don’t Sacrifice Features For some time, I have been searching for the best free music players out there. Time and time again, I find myself coming back to my tried and trusty Foobar2000, but every once in a... Read More , the biggest problem for iPod users is the alternatives struggle to sync music correctly. You cannot simply drag-and-drop music onto an iPod in the same way that you can with more generic manufacturers – you have to sync a central library using Apple’s iTunes software. If you own an old iPod but no longer use iTunes, this is a problem — a problem the Internet solved long ago. The solution is Rockbox, Why You Should Ditch Your MP3 Player's Firmware In Favour Of Rockbox Why You Should Ditch Your MP3 Player's Firmware In Favour Of Rockbox Read More an open source firmware that will replace your device’s original user interface. It’s compatible with every iPod model up to the Nano 1g and the Mini (as well as a host of other non-Apple models) – thus covering most “back-of-the-drawer” devices. It’s incredibly easy to set up, and once it’s installed, your computer (and you music software of choice) will recognise your iPod as a generic MP3 device instead. You can then drag and drop your music, rather than using iTunes to transfer everything. Aside from the obvious benefits, Rockbox also brings a host of other features to the table; support for more than 30 sound codecs (including FLAC and OGG Vorbis), the 10-band fully-parametric equalizer, advanced crossfading and even the ability to run games, read text files and theme your iPod. One of the biggest problems with MP3 players is battery life. If you’re an avid user, you can’t reasonably expect your battery to last beyond three years, particularly older models. Perhaps poor battery life 10 Tips to Extend Your iPod's Battery Life 10 Tips to Extend Your iPod's Battery Life Read More is the reason your old iPod ended up in the drawer in the first place? 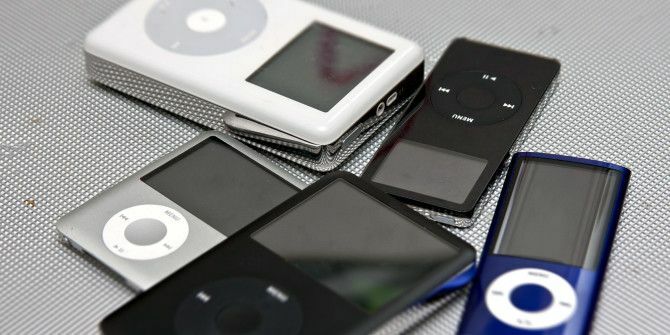 Theoretically you can replace the battery on any model, but in this article I’ll focus on the iPod Classic models – they had the longest manufacturing run and are probably the model people are most likely to have lying around. Be warned, this is not an easy process, but what do you have to lose? If you can’t fix it or you brick your iPod, at least you’ll have learned something. According to popular tech DIY site iFixit, you’ll need a 1.5″ thin putty knife, a metal spudger, a regular spudger, and plastic opening tools. Use the plastic tools and spudgers to ease off the front cover, then follow the pictorial guide to actually replace the battery. The battery itself will cost between $10 and $20 USD on Amazon, depending on which model you have. Even if you’ve already got a newer iPod, you can still make good use of your old one. One such use is to transform your device into a USB portable hard drive 6 Ways to Use iPhone as an External Hard Drive 6 Ways to Use iPhone as an External Hard Drive It's quite straightforward to use an iPod as an external hard drive, but what about an iPhone? Read More . It’s an especially good idea if your screen is broken but you don’t want to pay out for a new one. Some of the later iPod classic models have as much as 160 GB of storage space, with models as early as the 3rd Generation having up to 40 GB. When you consider than a portable hard drive with 160GB on Amazon typically sells for around $30 USD, it makes sense to save yourself a few bucks. Firstly you’ll need to format your device. Use the Disk Utility feature if you’re on a Mac, or right click the iPod and select Format if you’re on Windows. Format the drive as ExFAT to ensure maximum compatibility. Thereafter, you have two options to convert the device into a USB drive. The first is the aforementioned Rockbox, which will turn your player into a USB-only device. The second is to complete the process by using iTunes. Plug in your iPod, then navigate to the summary page and tick either “Enable disk use” or “Manually manage music and videos” in the options. Aside from the obvious uses of a portable USB drive, doing this means you could also use your iPod solely as a back-up device or even as a boot disk for Windows How to Make a Bootable USB/CD/DVD to Install Windows Using an ISO File How to Make a Bootable USB/CD/DVD to Install Windows Using an ISO File Need installation media to reinstall Windows? 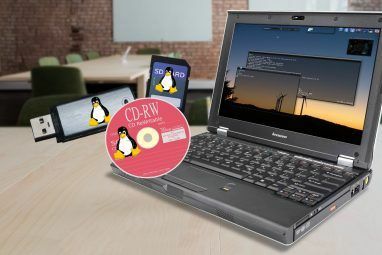 Our tips show you how to create a bootable USB, CD, or DVD from scratch. Read More , Mac, or Linux. Hard drives will always die eventually. This was a serious problem back in the early days of iPods, with the 3rd Generation version especially afflicted. But like the battery, if you’ve got a bit of wherewithal and inclination, you can replace it yourself. Before you start, check your iPod’s hard drive is indeed starting to fail. You can do this by accessing the diagnostic mode and running some tests. To enter the diagnostic mode on a Classic model, place your right thumb on the “Select” button and your left thumb on the “Menu” button. Press down both thumbs for about 6 seconds until your iPod reboots. 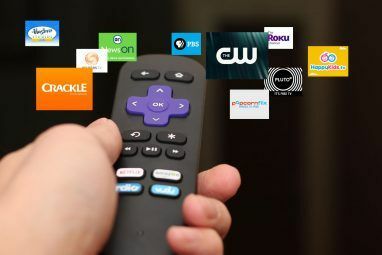 Immediately after it reboots, move your left thumb to the rewind button and hold this down together with Select for a further 6 seconds. Once it’s loaded, press Menu to select “Manual Test”, then select IO > HardDrive > HDSMARTData. Let the test run. If your results show that you have a high number of “Reallocs” or “Pending Sectors”, you can be confident your hard drive will need to be changed. Once again, turn to iFixit for a great guide. You’ll need exactly the same tools as for a battery replacement, while the hard drive itself will cost you $60 – $100 USD, depending on your exact model. Be careful, the process is described as “Very Difficult” by the guide’s author. Most people’s cars take a hammering. Kids, dirt roads, spilt drinks, supermarket car park nicks, and bad weather will quickly conspire to make your freshly washed beauty resemble something out of the Flintstones. With that in mind, you don’t want to use your shiny iPod touch or smartphone as your primary method of delivering entertainment in your vehicle. They’re safer left in your pocket and out of harm’s way. Step forward your badly scratched and world-weary old iPod Classic. They have memory sizes that dwarf those on modern smartphones and it means you won’t be using up that oh-so-precious battery life 7 Ways to Boost Your Cell Phone Battery Life [iPhone, Android, Other Smartphones] 7 Ways to Boost Your Cell Phone Battery Life [iPhone, Android, Other Smartphones] By far one of the most disappointing features in just about every smartphone these days is the battery life, which for most of us requires at least one charge per 24-hour period. Are you a... Read More on your main communications device. Load it up with the music you want, and it can stay in the car for months at a time – you’ll never have to remember to take it with you when your leave the house. You can charge it via your motor’s USB port (or even the cigarette lighter – old skool), and play it either via the USB or a standard “AUX In” jack. If all this sounds like too much effort, you could always cut your losses and sell it. 160 GB 7th Generation iPod Classics are going for as much as $600 USD on Amazon. A 6th Generation one will net you about $200 USD. Let’s be honest: you wouldn’t leave that much money in cash lying in drawer, so why leave an iPod? What other cool ideas can you come up with? We’d love to hear about them. Perhaps you’ve tried replacing the hard drive or the battery? Was it successful? How easy was it? Do you have any tips you can pass on to fellow readers? Explore more about: Battery Life, iPod, iTunes, MP3. Hi. I have a classic iPod we just use for listening around the house. It has a ton of room left on it, despite having thousands of songs installed. However, the old scroll navigation function is tiresome (ever try to search and have to scroll to each letter of the alphabet?) and the buttons are getting sticky. 1. Is there a device (or way) that would allow us to navigate our classic iPod with a modern touchscreen (short of buying a tablet)? Officially, I can't find reference to a 7th gen iPod Classic, so am not sure whether I have an actual 6th gen or one that others would consider a 7th gen. Any ideas, anyone? I have a Classic 160 since 2010 and I use it daily. I bought it mainly for the high capacity. I really did try to give iTunes a fair shake but just could not live with it. I then used the Mgtek Dopisp plugin for WMP which allowed seam drag and drop from Media Player to the ipod with no problems. I have now been using MediaMonkey for quite a while which also syncs to the iPod with no problem at all. I'm certainly going to try RockBox. It literally replaces all of it :) (Well, the old iPod firmware stays installed, but you never see it). It's amazing, you won't be disappointed. Itunes is what turned me off them originally. But I got a free ipod classic with a broke harddrive which I managed to replace cheaply and replace the firmware with rockbox. Rockbox makes using the ipod way easy, you can just drag and drop any of your flac or mp3 files. Rockbox is also mad customizable with loads of different skins to edit, widgets and games to play around with. It's such a shame that Apple don't make ipods more user friendly for non-iTunes users. Yes, we should expect that from a company renowned for letting consumers have choice. Well they have a Linux utility that spoofs Itunes and allows you to add any song to Ipods with legit firmware. I would say that it isn't too non-user friendly, just that it's DRM pitched as a feature. I am sorry I was unclear. I use iTunes, but don't sync any music. Once the iPod is detected, just drag and drop music, movies from windows explorer to iPod playlists while pressing Alt. No need to add music to iTunes library first. Why dot you just try it once?! Just a miscommunication, no biggie. How can you see the playlists without iTunes? Sure, from iTunes. The article is talking about avoiding iTunes, it's awful for Windows users. I mean I dont even add the music to iTunes library etc etc. Just drag and drop. Huh? Drag and drop doesn't work with iPods, as far as I know. Yeah, I really don't think this is possible without iTunes or 3rd party firmware. I have an iPod classic. I all the time drag and drop music onto it. 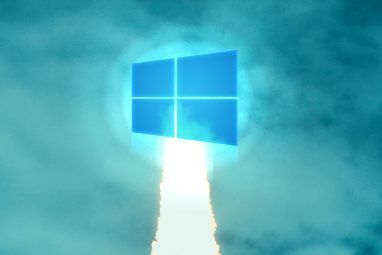 I have windows 7 and I can drag - drop music directly to an already made playlist too. Just press Alt while dragging.